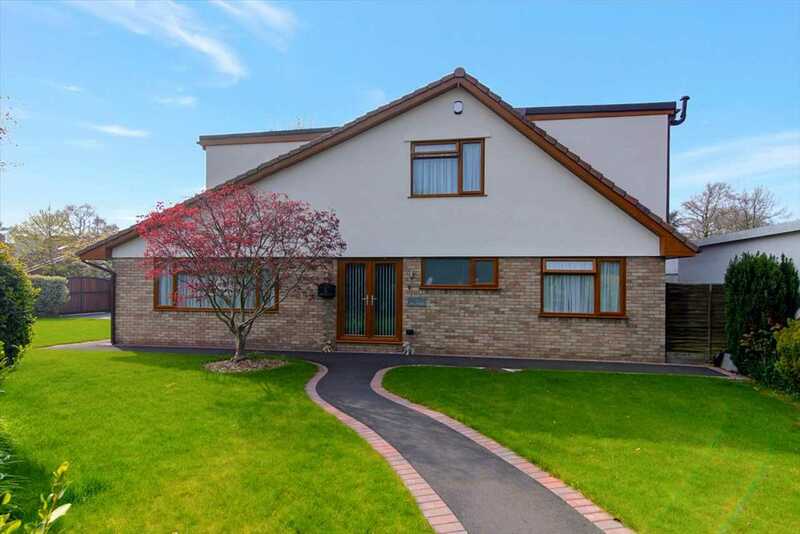 eSale are delighted to bring to the market this well presented four/six bedroom detached property set in a large corner plot on a quiet cul-de-sac, close to shops, amenities and well rated schools. 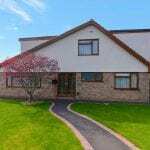 Situated in the ever popular Failand nearby schools include, Flax Bourton CofE primary school (1.8miles) and Ashton Park school (3.2miles). Within easy reach you have all the necessities such as supermarket, doctors surgery, pharmacy and post office, further afield, Bristol centre is approximately 16minutes by car with its wide array of shopping, eateries and leisure activities including Bristol Zoo Gardens. Just a short drive from the property you have the seaside location of Weston-super-Mare, a lovely day out for all the family. The property is set back from the road on a quiet cul de sac and fronted by an attractive, large electric sliding gate leading onto a large tarmac driveway suitable for several vehicles, a lawned area is to the right with a path leading to the front door and is enclosed by a shrub and flower border, access to the rear garden is via a head high timber gate to the left of the double garage. The rear garden is low maintenance laid with Indian stone and is enclosed by head high timber fencing and a variety or mature shrubs set in a slate border. The garden benefits from subtle lighting around the edges of the patio slabs along with lighting set between the shrub border and down lights set into the soffits of the garage and outdoor water tap. To the front of the property, directly from the drive, a door opens to the kitchen/diner whilst the main entrance door is to the right of the property which opens to the hallway. From the hallway which has neutral décor and useful built in storage, internal doors lead to the lounge, kitchen, shower room, two ground floor bedrooms and stairs rise to the first floor. The light and airy lounge to the front aspect has neutral décor, wood burning stove with feature stone surround and marble hearth, two wall mounted radiators and TV point. The kitchen with, modern base and wall units, above and below contrasting work tops, splash backs can be found above the preparation areas with a black glass splashback above the cooking area. An integrated modern, fan assisted double oven, grill, microwave and five ring induction hob with an extractor above are also incorporated into the design along with sink with chrome mixer tap and drainer, dishwasher and separate integrated fridge freezer. The kitchen offers ample space for a dining table, with neutral décor and tiled flooring, from the dining area an external door leads to the front of the property while a door from the kitchen opens to the rear garden. In addition to the living areas the ground floor has two double bedrooms one each to the front and rear aspects along with a large modern shower room, the rear bedroom has a patio door leading into the rear garden, both have neutral décor and offer the flexibility to be either guest/teenager suites or perhaps further living areas, which ever would suit your needs. The fully tiled shower room comprises, low level W/C, enclosed shower cubicle and basin with vanity units above and below. To the first floor are the four double bedrooms all with neutral décor, the master bedroom has an Ensuite, fully tiled with large shower cubicle, low level W/C and basin with vanity units above and below and a walk in wardrobe. Bedroom two also has an Ensuite, again fully tiled with low level W/C, large shower cubicle and basin with vanity unit below. Bedroom three has built in wardrobes, all bedrooms have neutral décor, ready for their new owners to make them their own. The house bathroom is also to be found here and includes, a low-level W/C, shower cubicle, freestanding bath tub radiator and hand basin. The property has been much improved and extended by the current owners with some excellent finishing touches including beautifully landscaped gardens, solid wood internal doors and double-glazed windows and doors, the property is equipped with a hive integrated, oil-fired, central heating system with separate thermostat and individual controls, low-energy lighting is fitted in most fixed points. In our opinion the property should be viewed to appreciate the accommodation on offer.